Hong Kong Teens British Language Camp - Tuen Mun River, Castle Peak Gesamt-Rating aller Gäste: ★★★★★ 5 auf Basis von 1 rewertungen. British boarding experiences are unique, and although everyone arrives as individuals, we leave as a family. Living together in a boarding house is an incredible experience for students; even after dinner, there is still an evening of fun to be had for everyone. We offer state of the art facilities; private, twin and shared rooms. Some have en-suites, and others have shared bathrooms. 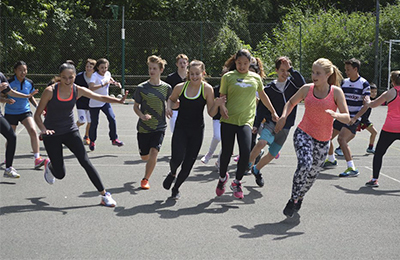 On site facilities include a common room, dining room, tennis courts, indoor heated swimming pool, brand new classrooms, and a full-sized sports hall.